He might not have been on the guest list, but one long-necked, elegant beast made it his business to introduce himself to a wedding party during a photoshoot taking place in South Africa earlier this month. 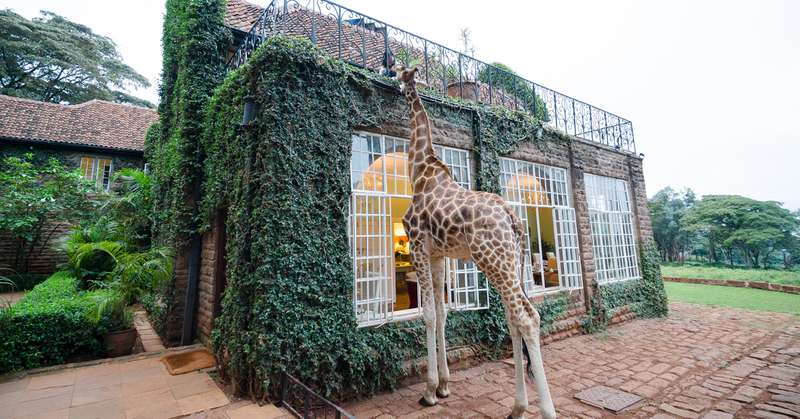 According to photographer Stephanie Norman, she was shooting a happy couple on their wedding day—presumably after their vows—when the inquisitive giraffe wandered over. In the photo, the pair are sharing a romantic smooch under some sun-dappled trees while the giraffe looks on. This is far from the first time that animals have made their presence known at particularly romantic moments for couples around the globe. Earlier this year, a stingray photobombed one couple’s proposal at Ripley’s Aquarium of Canada in Toronto. Many furry pets have been known to photobomb their owner’s proposals and engagement shoots as well, and last November, a smiling horse caught the bride and everyone else in the wedding party by surprise—and caused the Internet to erupt in laughs as the image went viral. Be the first to comment on "Giraffe Perfectly Photobombs Couple’s Wedding Photos: “He Was So Gentle and Nosy”"